Being a food blogger mostly means eating way too much food. Wayyyyyyyyy too much. Now that it’s Fall, we are in the food blogger danger zone! There are so many Halloween treats that I need to make, not to mention all the wondrous Thanksgiving & Christmas recipes that will be full of delicious carbs and sweet, sweet sugar. Basically, I need to eat as healthy as possible at every meal I’m not making for a holiday at this point. Breakfast is the most important meal of the day, so I should start there, right? My staple easy healthy breakfast generally consists of three eggs and a side of spinach. 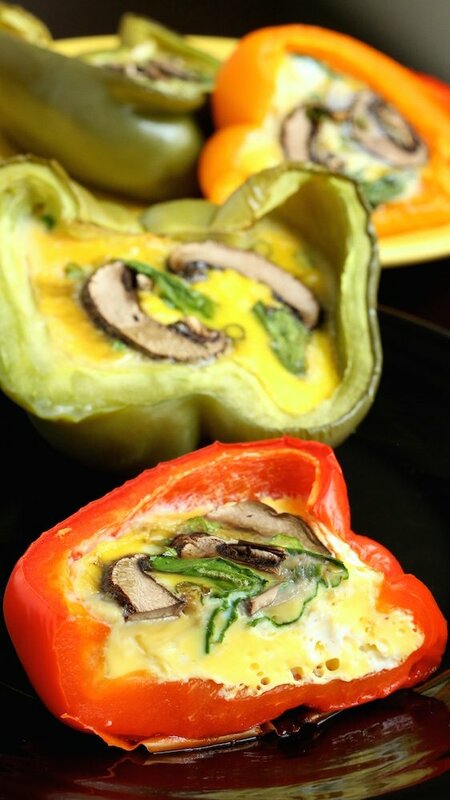 Egg stuffed peppers seemed like a perfect way to get all of that in with virtually no clean-up. Sounds like a winner to me! 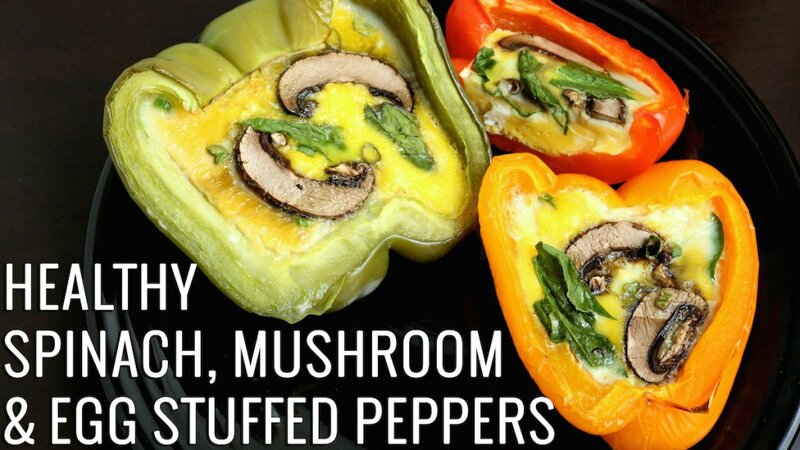 You could definitely prep these the night before, then just throw them in the oven when you wake up. Of course, you can also substitute the veggies or add more into the mix. If I had cherry tomatoes on hand at the time I would have thrown them in too. 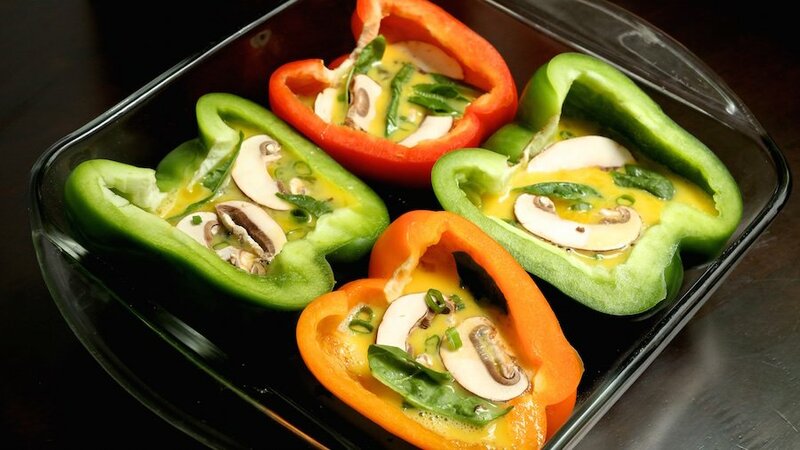 Slice your bell peppers and remove the seeds. Place them in a baking dish. Crack your eggs in to a small bowl and whisk together. My peppers were kind of large, so I ended up using about 1.5 eggs per pepper. Evenly distribute among each pepper. Top with spinach, mushrooms, and green onions. Place baking dish and oven and cook for 25-35 minutes, until eggs are set.